To have a quote for our one time cleaning service, contact us at: 020 3746 3201 or by filling up in our free quote. We are trained and set up with modern specialized cleaning devices, tools and safe solutions and are ready to deliver to all of our local commercial and private customers with a powerful spring cleaning Camden NW service. 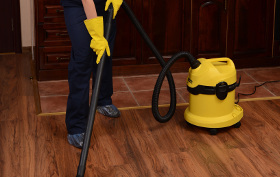 Our one time cleaning service gets very popular before and then for the duration of the spring season. You can book us for as many hours as you prefer and may decide on the washing work you want executed from our detailed cleaning checklist. Why Pick Our One Off Cleaners in Camden NW? Better Cleaning Company is a highly respected professional cleaning services provider using the services of some of the leading one off cleaners in Camden NW. We provide a first-class one time cleaning service to all neighborhood residents and firms. We have acceptable and predetermined prices. We offer our frequent clientele, property owners and property companies beneficial plans. The high-quality of our service is guaranteed by our highly competent cleaners, who work with leading cleaning methods, technology and solvents to profoundly clean your property. For any type of help with cleaning up, book our after renovation or spring cleaning service today! Of course, but when the kitchen stove has not been cleaned up for a while, think of our efficient oven cleanup. Your powerful cleanup is going to be done using expert solutions and the benefits are going to be better. You could actually get a discount whenever you unite this cleaning with your general cleaning. In a smaller sized property you will not require big furniture lifted, and booking a 1 cleaner is okay. In case you would like lots of work carried out very quickly, reserve a couple of cleaners. Bear in mind you must inform us in advance if cleaners have to provide" the solvents and equipment. We offer easy reservations via phone 020 3746 3201 or via our booking form. You will receive a written verification in just 2 hours. Our one off cleaning Camden NW company also offers you holiday holiday and weekend availableness. For urgencies, you can count on us arriving immediately too! No advance payment is required for booking our service. You will pay following the service has been completed. So why not hiring our one off cleaners right now!